Since 1985 in AUTO TALLER ALCALA SL. we are dedicated to getting your car ready. For this reason we have not stopped growing both in square meters and in Services. We make the maintenance and integral repair of your car, mechanics, sheet metal and painting, we also have a service of carwash. We now incorporate the sale section, in order to offer a car with full warranty, all brands (Peugeot, Renault, Nissan, Citröen, KIA, Toyota, Volkswagen, Audi, BMW, Mercedes ...). 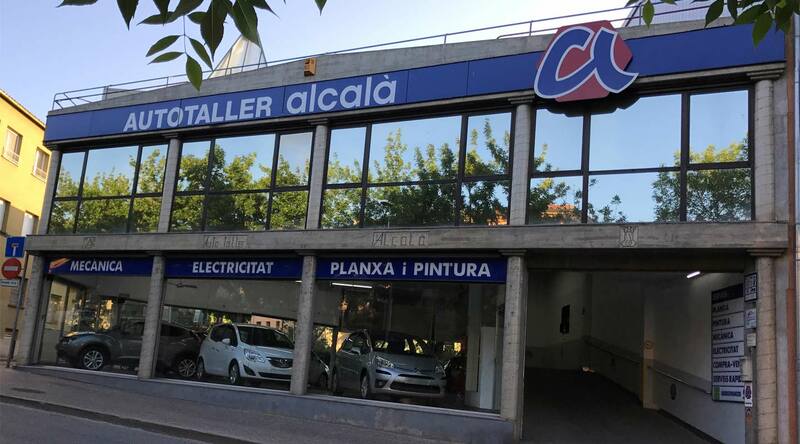 In this way we complete our comprehensive offering sale , maintenance car repair , we also offer you a no obligation quote for the insurance of the car and if you need it, we look for the best financing. In our business model we have always taken into account our concern for the environment , when your old car has already given everything it had to give, we process the drop and we take care of their scrapping at no extra cost.